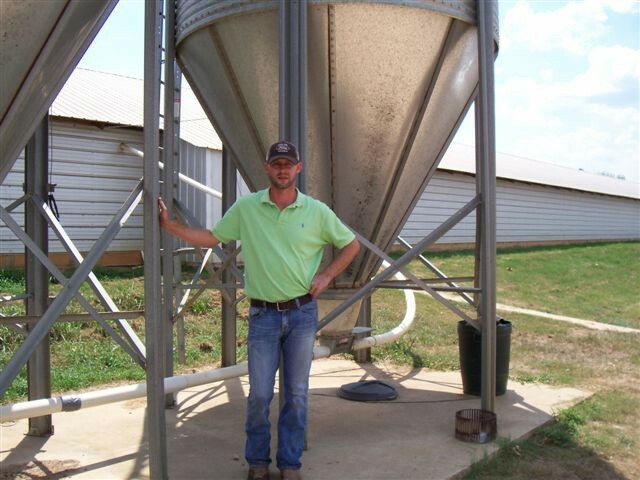 Pilgrim’s is proud to highlight McCoy, Texas grower, Eric Riggs, owner of Riggs Farm. Riggs’ parents, Wayne and Betty Riggs, built the farm in 1999. Riggs took it over in 2004 when Wayne and Betty moved to a nearby lake to enjoy their retirement years. Riggs Farm produces 750,000 chickens and 100 head of cattle on average every year. “I have a herd of Gray Brahmans and F1 cattle along with the poultry. Both industries complement each other for profitability. I also have hay production yields,” said Riggs. Farms in rural East Texas are one of the main industries and keep local economies thriving. That’s one reason Pilgrim’s takes great pride in its vertical farming model, meaning all the farmers are independent business owners. Independent farms also keep the local culture authentic and true to Texans’ traditional family values. “Our farmers own their own farms. This is great for the local economy because it allows farmers the time and land to do other things, like grow a herd of cattle, as Riggs does. This is great for our economy in East Texas,” said Weems. “Oil, poultry and timber are three of the main industries in our area, so our economy revolves around them. Farming helps to create a family-oriented lifestyle, allowing families to work together, therefore creating stronger family ties,” said Riggs, who returned to the family farm because of the peace he finds in being surrounded by four generations of his own family being nearby. Pilgrim’s farmers are often also employers, helping to stimulate the local economy. Riggs himself employs one full-time worker and three or four part-time employees between flocks and during hay season. Having a degree in forestry has given Riggs added insight into environmental stewardship on his farm. When Riggs isn’t working on the farm he enjoys golf, fishing and hanging out with his friends and family on nearby Lake Murval.